Today no one got up very early. Vacation at its best. It was cool and cloudy again today. We sat on the deck and checked emails, weather, Facebook. It was just a lazy morning. Eventually we moved to the bikes to start our day's adventure. 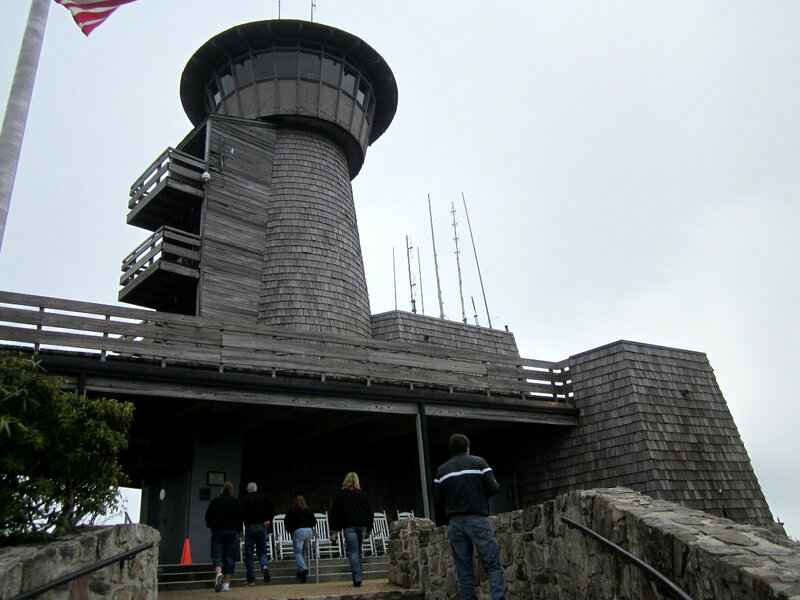 Our first stop today is Brasstown Bald...the highest point in Georgia. We came here in 2011 but arrived at closing time. 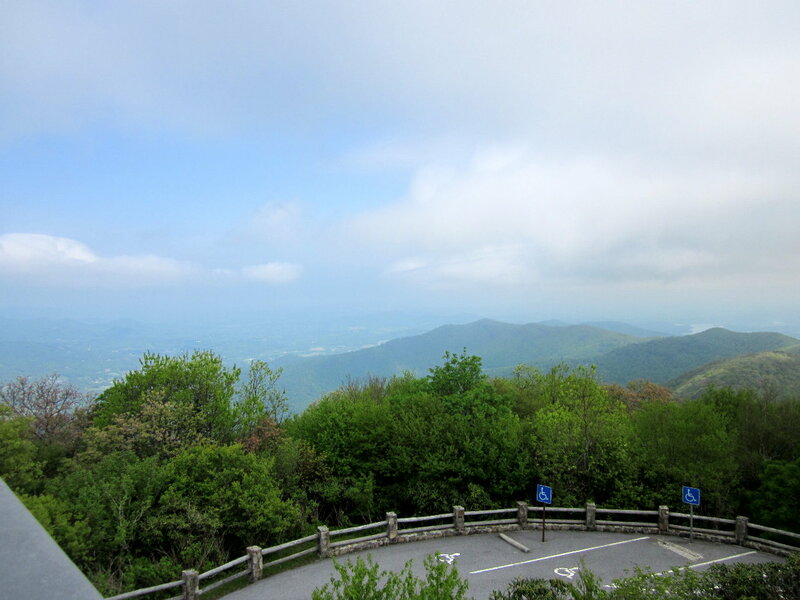 The guys came here a few days later but the clouds obscured the view. This is the first time here for Donna. 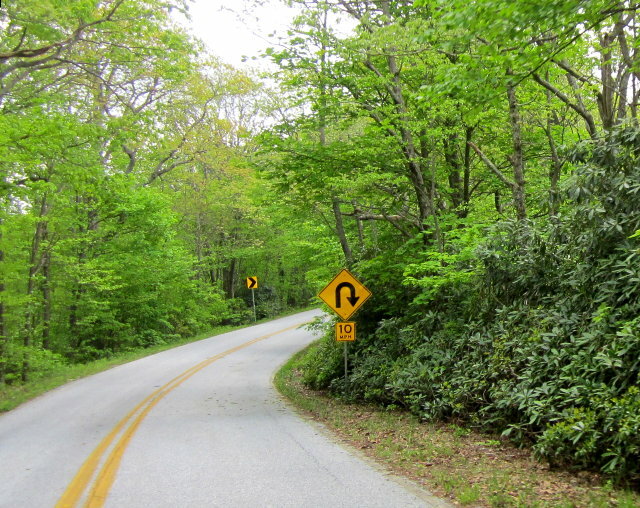 The road leading up the mountain is narrow and curvy and fun. In my pre-ride excitement I forgot to deploy my camera so I didn't get any pictures of the ride up. 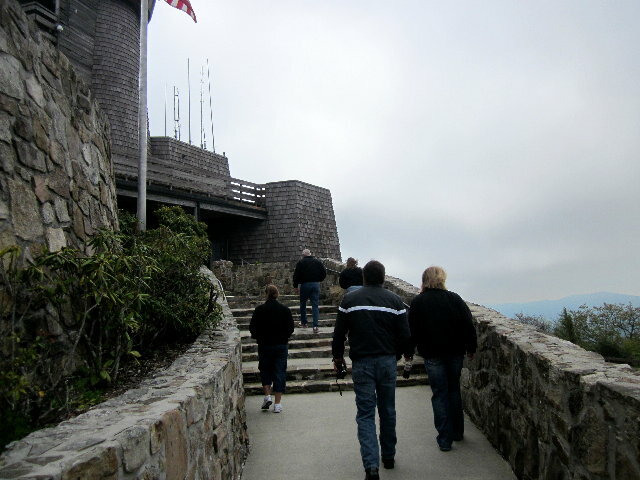 When we were here in 2011 it cost $3 to get in and $3 to ride the van to the top of the mountain. Now $5 covers everything. Good deal! We made a loop through the store then sat in the concession/restroom building to wait on the van. They were just starting construction of this building in 2011. The van arrived and whisked us up the hill. The driver was originally from Maine and still had his accent. He noted some points of interest on the way up. 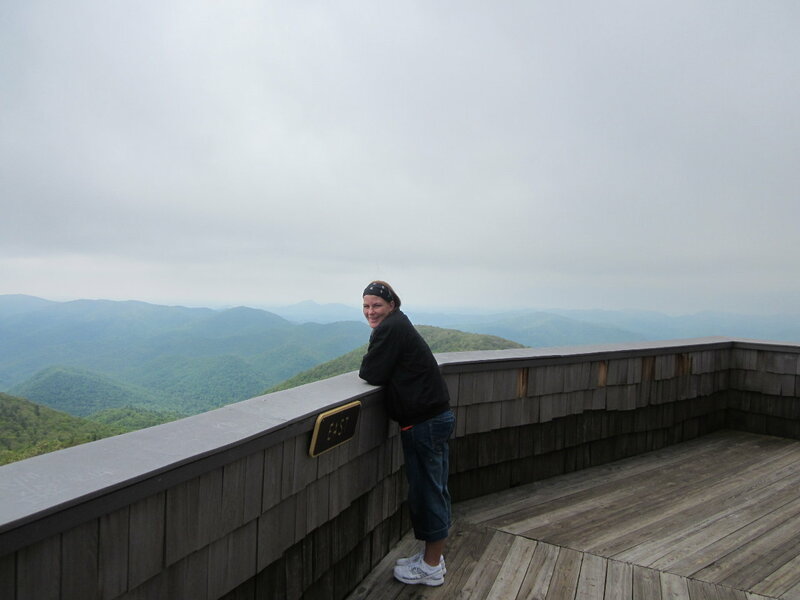 The clouds were thick but high enough the views were good. 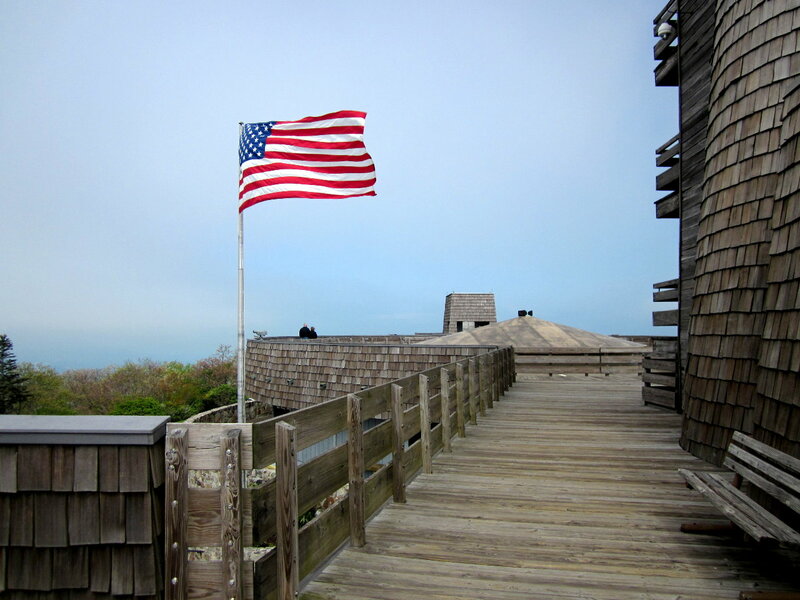 We checked out the viewing platforms and talked to the ranger. They have a museum area that we perused while we waited for the 20-minute movie to start. I don't remember much of the movie. I power napped. Donna requires me to occasionally post a picture of myself in these reports. I like to include her to offset my walrus-like mug. Especially with my vacation scruffiness. While we were at altitude Mike received some good news...his pegs were at the Honda shop. 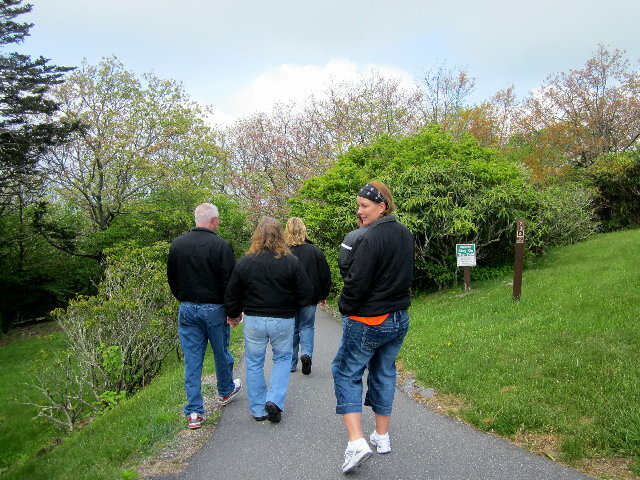 We took the walking path down the mountain. I think it is 0.6 miles long. We passed several people walking UP the path. Holy crap...walking down is pretty strenuous. 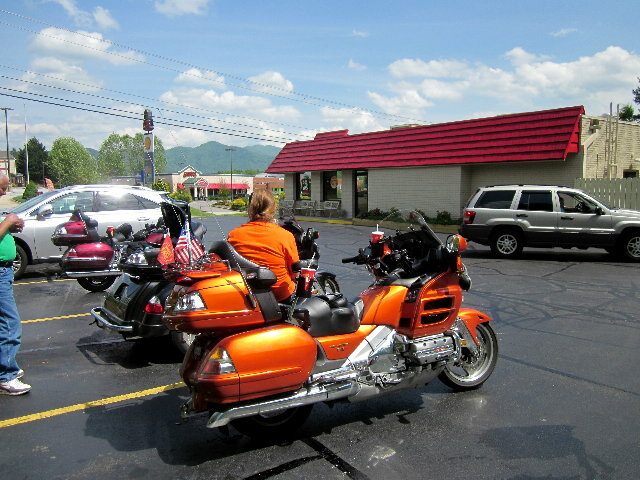 We stopped at the concession building for a brief rest then saddled up and headed towards Blairsville. The road down. 10mph means 10mph. 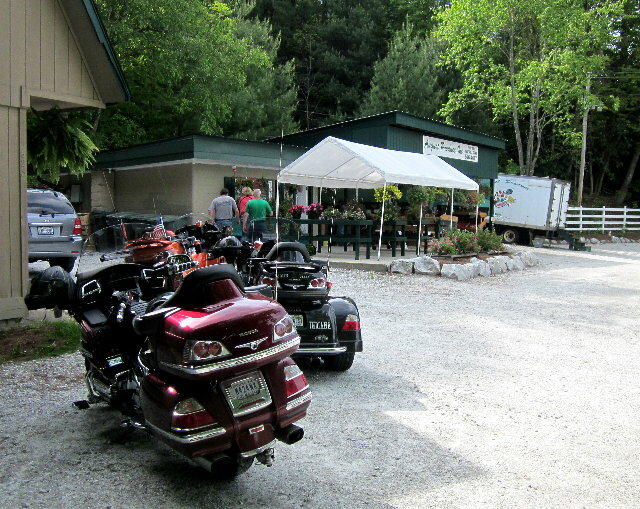 On the way to Blairsville we stopped at Booger Holler for some supplies...namely cigarettes and pop and a snack. 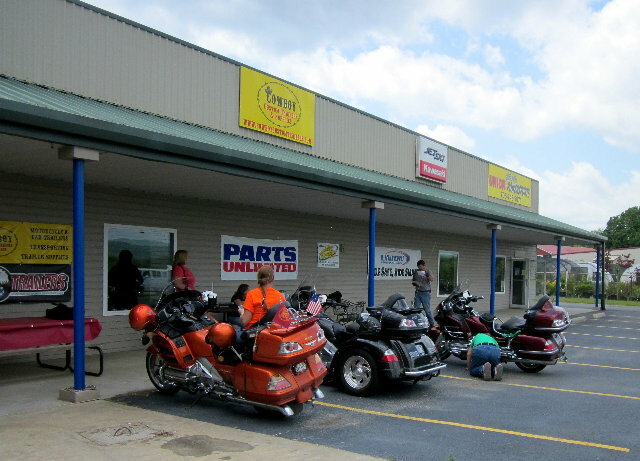 It was a little after noon when we arrived at Union Powersports. Mike got his footpegs and he & John installed them. We browsed around and sat on the picnic table for a bit just enjoying the day. Donna sat on the bike and soaked up the sun. Our next destination was Bridal Veil Falls to take pictures with the new bikes that John & Debby and Mike & Jerri have gotten since our last time here. 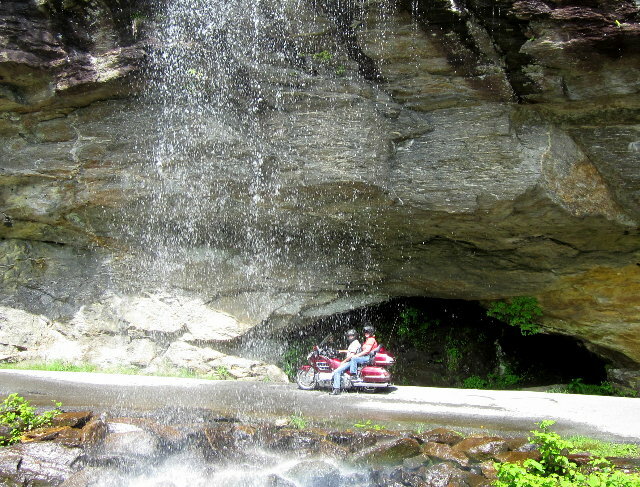 Bridal Veil Falls is on US64 a few miles west of Highlands, NC. 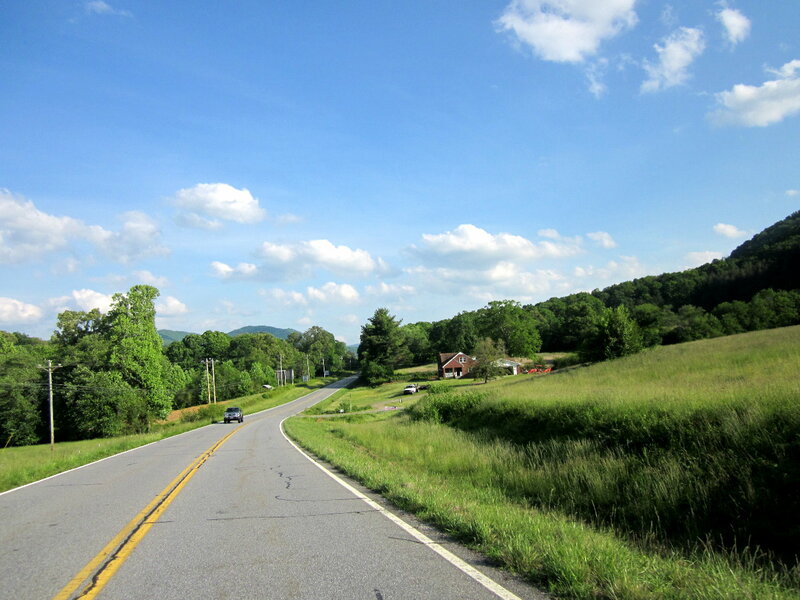 I entered Highlands in the GPS and off we went up US129 and eventually turning right onto US64. 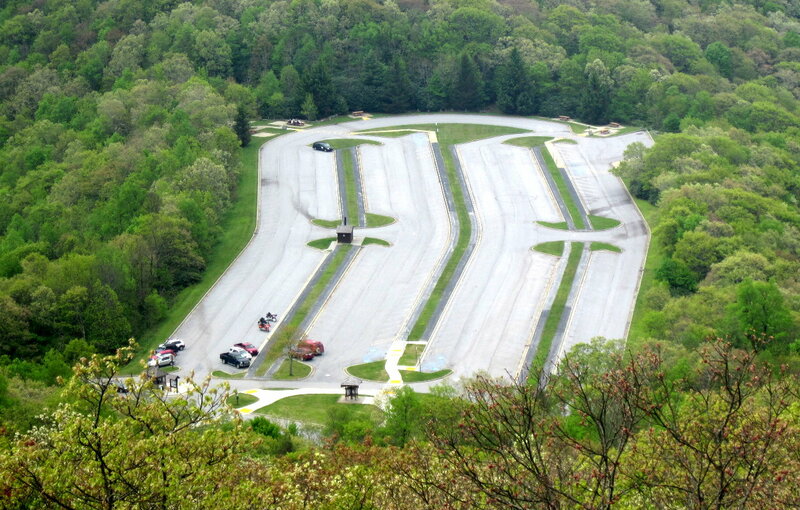 US64 is four-lane eventually turning into two-lane. We were making some time on the four-lane. The clouds were thick and dark in spots and the thought of rain was in the back of our minds. 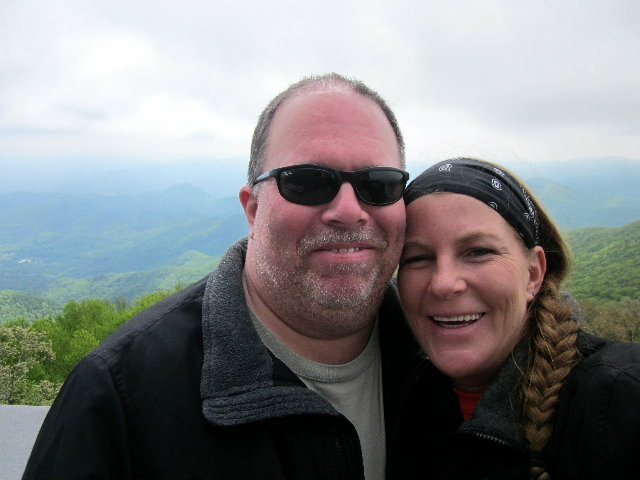 Donna liked going through Murphy, NC, since that is her last name. She wanted a picture of the town name but I had forgotten to deploy my camera...again. We were humming along enjoying the ride. We passed the town of Marble and I saw on the road signs that Andrew was coming up. I noticed on the GPS that we were heading in a more northeasterly direction than I had expected. I also noticed the highway signs sharing the roadway. US19...US129...US74. Where is US64? I zoomed the GPS out and noticed it was wanting us to turn onto smaller roads at Andrews. Why? That isn't US64. Where is US64? Somehow we've gotten off the course I planned to take, and by 'we' I mean me. When we got to Andrews I bypassed the turn it wanted to make because I was still confused. I zoomed the GPS out to an almost unusable scale to see the whole route. It ended up in Highlands where I expected. I could also tell that US64 was way south of us. We turned off onto a side road and got back on the GPS track...not sure of where it was leading us. 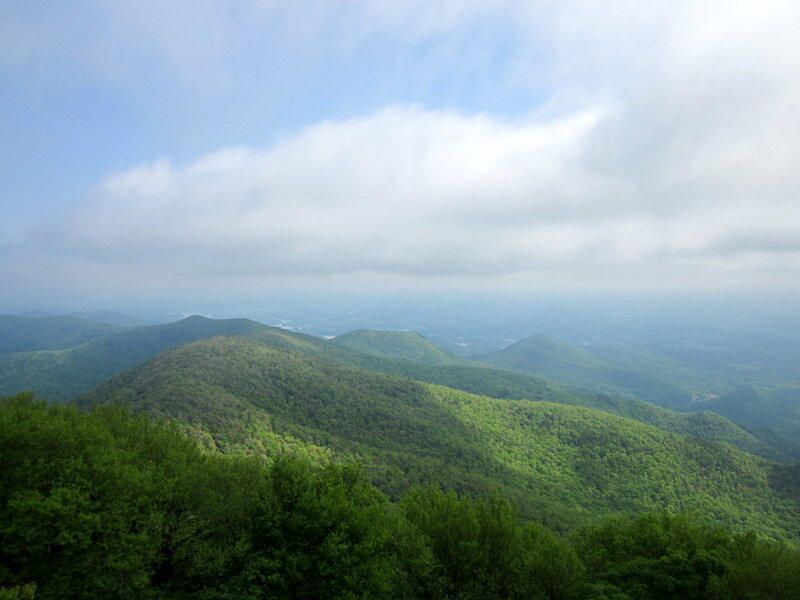 The GPS took us on Junaluska Road to Nantahala Lake then on Wayah Road around the lake. It ended up being a nice road. Scenic. Curvy in spots. Pretty views of the lake. It would have been more enjoyable if I knew where I was and where I was going. That was the aggravation. Trying to use the GPS like a map was useless, and I still hadn't found any paper maps we could have used to determine our trajectory and alleviate the mystery of our current route. 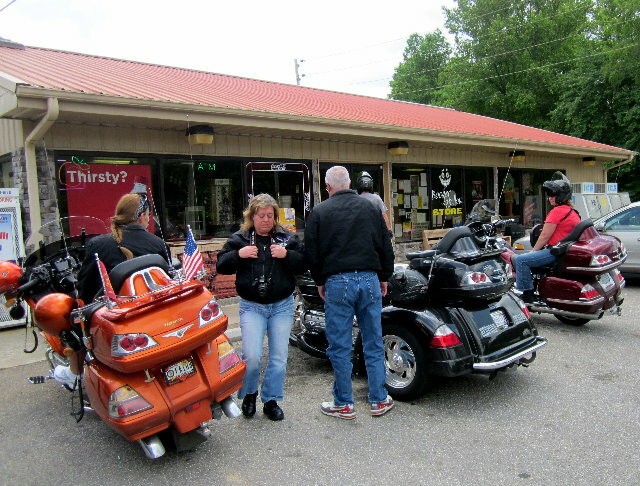 We passed a couple groups of motorcycles going the other way and in the back of my mind Wayah Road sounded familiar. 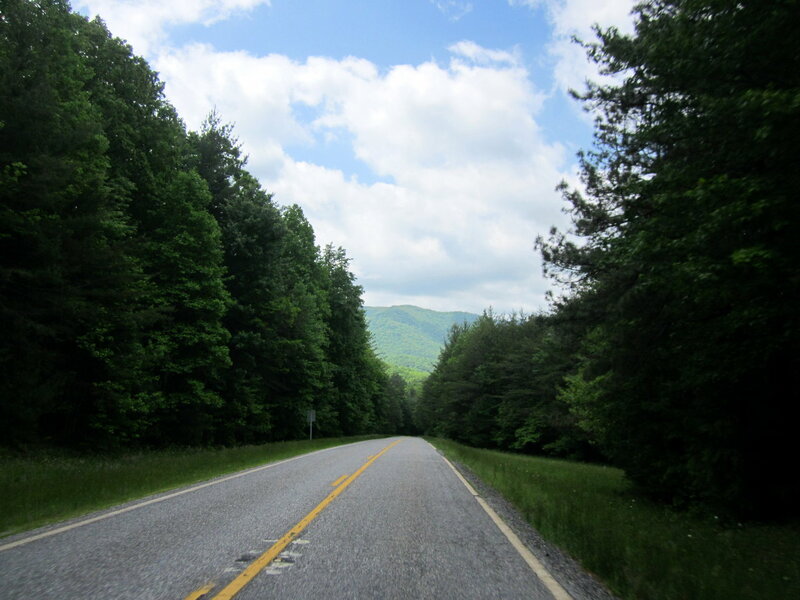 Eventually the road started heading east and on the GPS screen I could see US64 coming up to meet us in Franklin. Donna and I both were getting hungry so I searched for a restaurant in Franklin. One of the choices was the stereotypical Goldwing favorite...Dairy Queen. Donna approved. It was a relief to pull into the Dairy Queen. Now we are no longer lost. It felt good to stretch after wandering on the bikes for a couple hours. The skies had cleared and the sun was cooking us a little so the air conditioning was welcome. I always enjoy a Dairy Queen hamburger and french fries. Donna likes their chicken tenders and gravy. They had a map on the wall so I spent some time studying it. US64 had split off in Murphy. Why had the GPS not made a turn there? Why had it taken such an odd route? I guess only the programmers at Garmin and Navteq know those answers. It is these kind of issues that make me distrustful of relying on the GPS. Looking at the map I realized Wayah Road had been mentioned in the GL1800riders forum as a nice road to ride in the area. It would have been had I not been lost and aggravated. Had I had maps to look at at the Honda shop I would have taken a more direct route over new roads and avoided the longer US129 route altogether. Lesson learned. Leaving Dairy Queen it was a short hop to US64. Now I was on familiar roads from earlier trips. 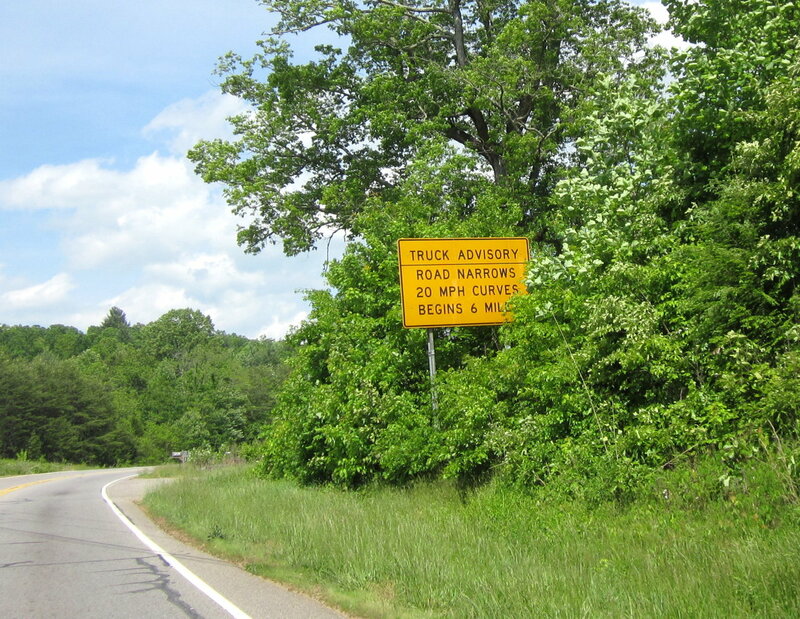 Soon US64 became two-lane with signs warning semi trucks to turn back. The road is nice and curvy all the way to the falls. We took various pictures of the bikes at the falls. 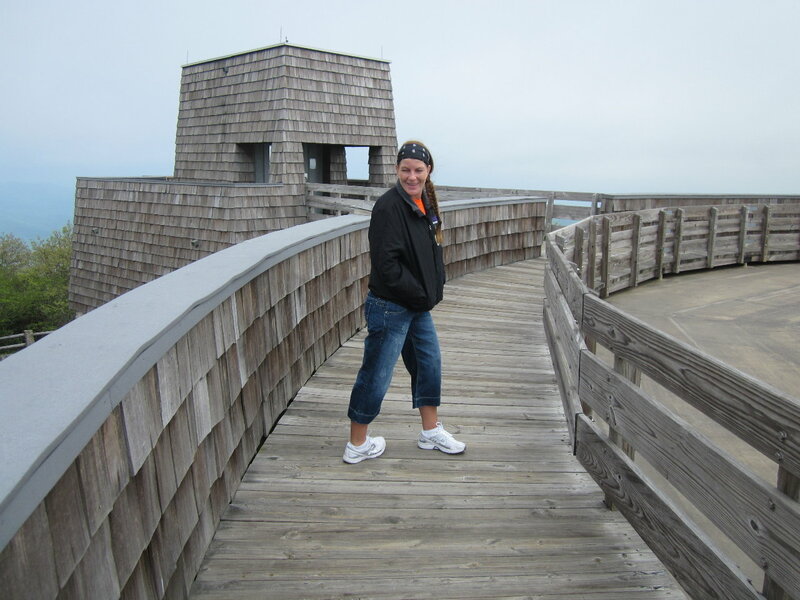 We also took pictures of others and they reciprocated. John even did a Cold Water Challenge in the falls. Damn...that had to be cold. Soon others arrived and it became crowded so we headed towards Highland. I was watching the road when Donna said "produce stand!". We had finally found an open produce stand. We bought lots of stuff including strawberries. Donna has been wanting a strawberry pie. 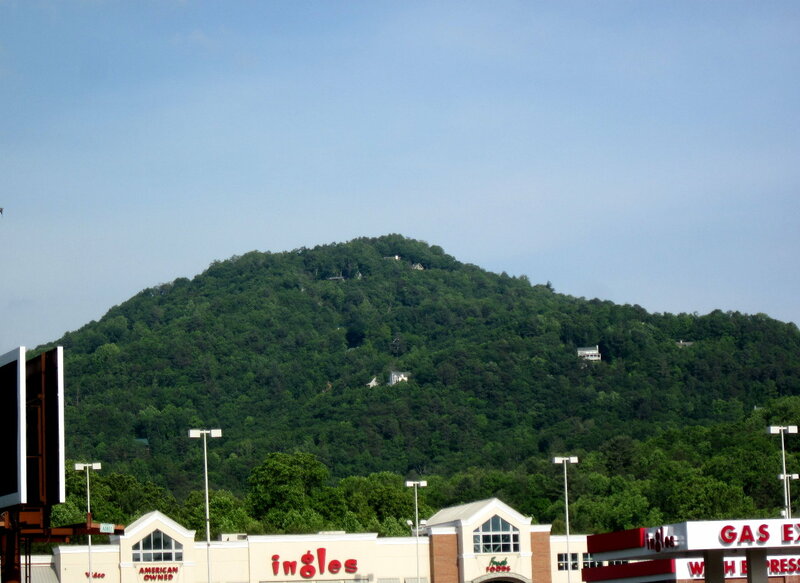 Clayton, GA. 17:42, mileage 71,386 - Leaving Highland we were in 'return home' mode. We took NC-106 back into Georgia. It was a pleasant, relaxing road. 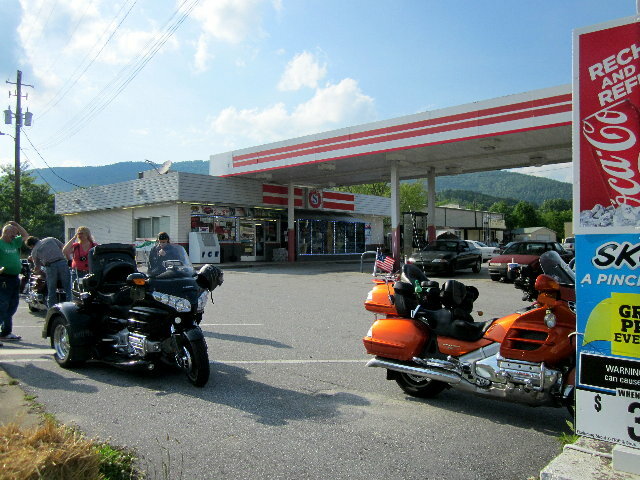 When we reached US23 it was four-lane all the way to Clayton where we got some badly needed gas. From Clayton we took US76 back to the cabin area. We all 'landed safely' at the cabin. Later that evening Donna was in 'watching for a bear' mode. I sat with her for awhile. Eventually we heard something moving through the woods. It sounded large. We quietly watched as it came into view. It was a possum. It is the blurry white thing in the middle of the picture. It ate some food until a raccoon came along and the possum left. 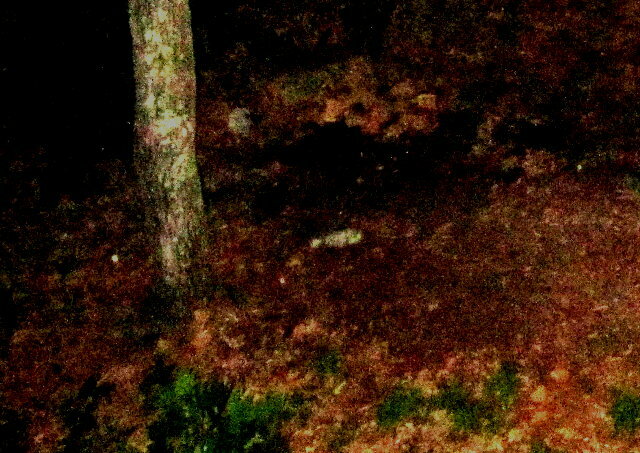 The raccoon ate for awhile until there was another noise in the woods and the raccoon scampered away. The noise got louder and closer. It sounded like a man trampling through the woods. It was another possum. I left Donna on bear watch and did my nightly computer stuff. I reviewed the proposed route for the following day. 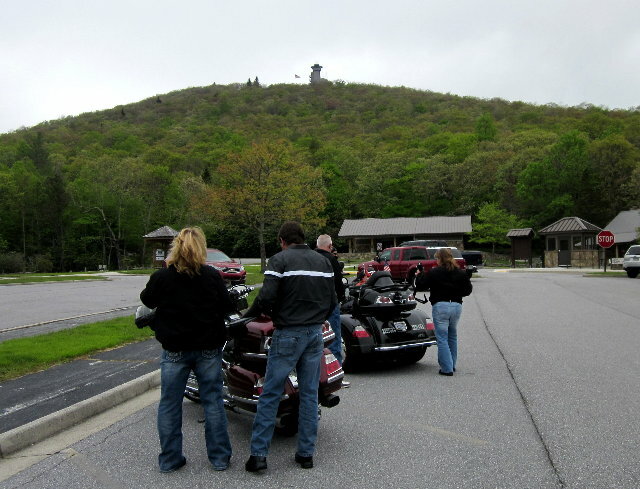 We were planning to ride the Cherokee Foothills scenic byway and stop at a few places along the way. The mileage for the route was 347 miles. We had done 189 miles today and got home at ~7pm. Hmmmmmmmm. I don't think a route that long is doable. Donna agreed. I sent a group text suggesting we think about riding somewhere else.